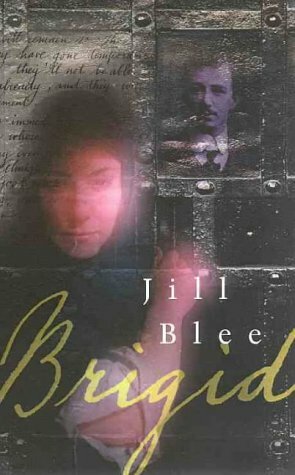 I discovered Victorian author Jill Blee back in 2009 when I borrowed an audio book called The Liberator’s Birthday, and I liked it so much (see my review) that I hunted out her other titles: her first novel The Pines Hold their Secrets, and her second, Brigid. (I think I bought them direct from her website, but I don’t seem to be able to find it now). Unfortunately, this book is not as successful as The Liberator’s Birthday. Good editing would have tidied up an interesting concept and eased it into a more engaging tale. The narrator travels to Ireland but has her holiday hijacked by the spirit of her long-dead great-great-aunt Brigid, who bullies her into abandoning her original plans to tour Ireland. Instead, she is to trace her ancestors’ tragic experience during the Potato Famine and solve a long-standing mystery that prevents Brigid from resting in peace. This is a story with good potential, but the structure chosen to deliver it derails itself repeatedly. A travelogue punctuated by irritable conversations between narrator and the dead aunt just doesn’t work. The first person narrative is a somewhat naïve travelogue of surface details, the kind of thing that you or I might write in a travel diary: finding meals and accommodation, getting lost, discovering the flavour of Guinness and standing in awe of beautiful public buildings like Trinity Library and Dublin Castle. This narrative livens up when interrupted by the hectoring voice of Brigid, demanding that the narrator search her family’s past to discover the story behind a missing letter that could have changed the lives of many. Alarm bells ring here, of course, because most family histories-turned-novel (especially sad Irish ones) are about as original as a politician’s lie, but the mystery of the letter seems like a smart hook to keep the reader invested in the outcome. The conversations between Brigid and the narrator prod her into researching to learn more about the effects of the famine and her ancestors’ poignant attempts to survive it. Alas, the narrative tension in the mystery of the letter gets side-tracked by the agenda-driven story of the famine and both keep going out of focus because the author keeps interrupting with the travel diary. On the plus side, Brigid is a great character, the narrator seeming rather insipid by comparison. Strong-willed and combative, this ancestor would have, as my mother would say, put the fear of God into anyone that crossed her, and she represents the grit and determination that Irish women have long had to have to survive. Intruding as and when it suits her irascible temper, Brigid insists on a journey through rural Ireland where enough of history remains to confirm or amplify her accusations against the heartless British overlords. In a belated effort to be even-handed, the narrator demurs sometimes, to suggest that the Irish should take some responsibility for a rebellion that had no prospect of success, but she ends up agreeing with Brigid that there really was no other choice. (As the reader knew she would). One of the reasons I liked The Liberator’s Birthday so much was that it brought the story of the Irish in Australia to life, in an original and lively way that YA students of history might enjoy. But there is a bitterness to Brigid – and a strident determination to exhaust every avenue of British treachery in excoriating detail – that detracts from the story without generating the empathy that the author presumably intended. Rendering old grudges of history in fiction doesn’t work without authorial control of the material, and IMO a more nuanced picture would have made this into the engaging book it could have been. Louise at The Australian Bookshelf liked Brigid better than I did. Source: Personal library, bought direct from the author. Yes, I mean, I’m in favour of authors experimenting with new styles and I really like the way this one delves into the back story of Australia’s emigrants. I think it’s a shame it wasn’t better edited because, as I say, it could have been a good story. I’m not sure, Stu, because the first one I read was an audio book. But that was actually her third book, not her first. It could just be that Indra was a small publisher that has improved over time, or hired a better editor by the time the third book was published.